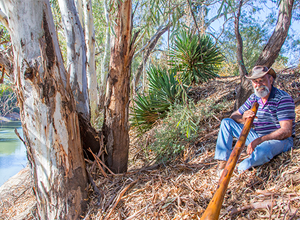 “If you know Bourke, you know Australia” so wrote the famous Australian poet Henry Lawson in 1910. Originally named Prattenville, the town of Bourke was first ‘settled’ in the late 1820’s and its name was changed to Bourke, after Governor Richard Bourke of New South Wales, in the 1830s. Bourke is not merely a town but a region that is the start of Outback Australia as anything to its west is referred to as the ‘Back o Bourke’ a colloquial term etched deep in Australian language meaning to be a long way away from anything. On the contrary, may be far away from ‘civilisation’ but the further out you go, the closer you get to the essence of this land. Maybe that is what Lawson was alluding. By the 1890’s, Bourke was a major port for the transport of the South Queensland and North West NSW woolclip that was transported down the Darling to the Murray River to South Australia and onto Adelaide for ship transport overseas or to Echuca and rail transportation to Melbourne. The Port of Bourke was the focus of the world’s wool industry with up to 80 riverboats servicing the region and at one time it was one of the largest in the world. The opening of the rail system in Australia and the unreliability of the river flow saw the gradual demise of the ‘River Highway’ by the early 20th century. 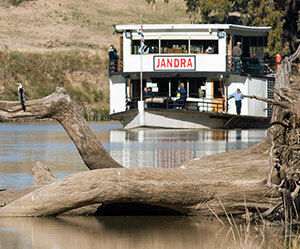 A great way to experience the heydays of the paddle boats is a ride on the PV Jandra – Paddle boat. Learn more about the regions rich river boat history. This modern paddle vessel is operated by Bourke Shire Council and is part of the tourist experience at the Back O’ Bourke. This by no means spelled the end of Bourke and today it is a town that still, in essence, is the same as it was back then; a town on the edge of the wilderness with great historical, cultural and geographic significance. 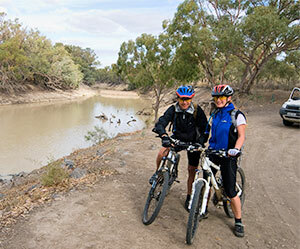 Located where the Kidman Way meets the Darling River and a town firmly etched in Australian folklore, Bourke is the ideal access point for The Darling River Run. 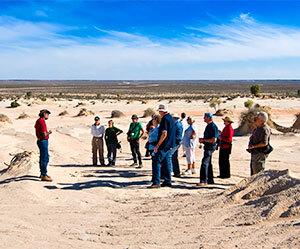 A true outback experience is available to those who visit Bourke. The ‘Back o Bourke’ Centre has been redeveloped as a world class facility nestled in a spectacular natural setting amongst the river red gums on the banks of the Darling River. Head out of town in a southern direction on the Mitchell Highway / Kidman Way. 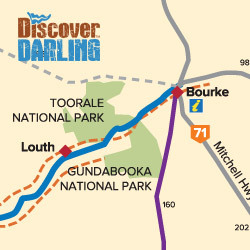 Just 4km out of town turn right on the Bourke–Wilcannia road (unsealed) and you follow the winding Darling River which is on your right hand side for 95km to Louth.